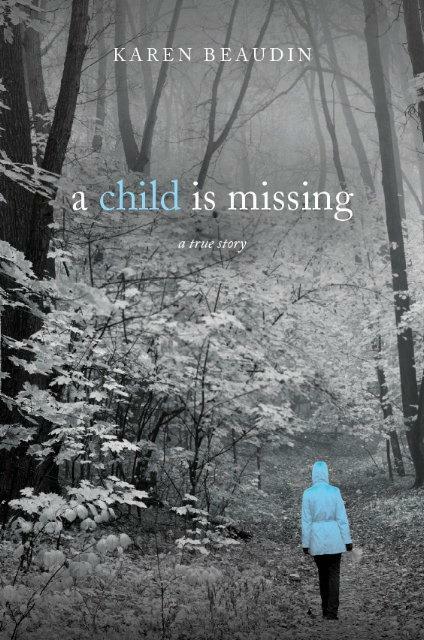 A Child Is Missing is about the murder of my sister Kathy, the investigation; and the journey. Murder follows you through life. It’s not something neatly tucked away and forgotten about. Learning to live in the new life forced upon you is important to survival. Making a difference is healing. Writing A Child Is Missing was therapeutic. The story is about Kathy, the murder, the investigation, and the connection it continually has through my life. Murder changes a person forever, not for a period of time. It was written through my eyes and my experiences. It is not selfish or written hoping others would feel sorry for me. That never entered my mind. I did hope it would be inspirational. The book has enabled me to work with others that have gone through suffering. I am humbled and have great admiration for their endurance, many warriors walk the earth. I’ve encountered some that look at suffering as “bad luck” and treat it with a “so what” attitude. This is a careless and shallow way to look at someone’s pain. A “cold heart” contributes to that. My faith has played an important role in my life and guides me through many of the decisions I make. We are one and I cannot separate the two. Because of that, I wrote about it in A Child Is Missing. My faith is connected to Kathy’s murder, the investigation, life events, and my decisions. Some may be inspired, some tolerant, and some offended. However you may feel, I am not ashamed of writing about the influence my faith has had in my life. God has walked with me through difficult times. To all that have experienced sorrow, I pray you will find peace, happiness, and purpose. Peace from your pain, happiness to enjoy life once again, and purpose that will lead you to make a difference for others. Thank you Janet, I love you too, very much.